At around 14.15 on a Saturday afternoon, the roar of excitement around the MIS swimming pool could be heard for miles as four improvised rafts were launched in to the shallow end for the Annual MIS Raft Challenge. 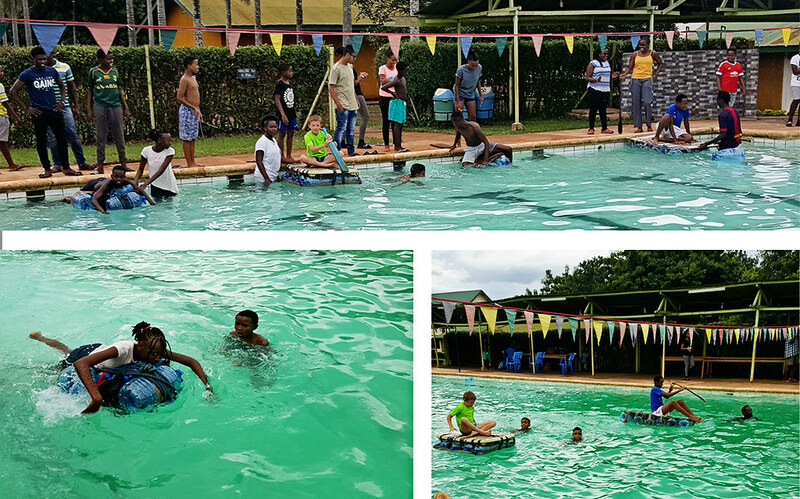 The challenge was harder this year as each team had to manoeuvre their contraption four lengths up and down the pool carrying one team member all the way. There were two main rules, both of which were more or less ignored by the contestants. Firstly there should be no helping hand provided by any other team members; this rule was broken by three of the four teams. Secondly, the ‘pilot’ should be on the raft and paddle with hands or any item that was constructed as a paddle; he or she should not use any other part of their body to propel themselves through the water such as feet and legs. This rule was broken by all four teams. 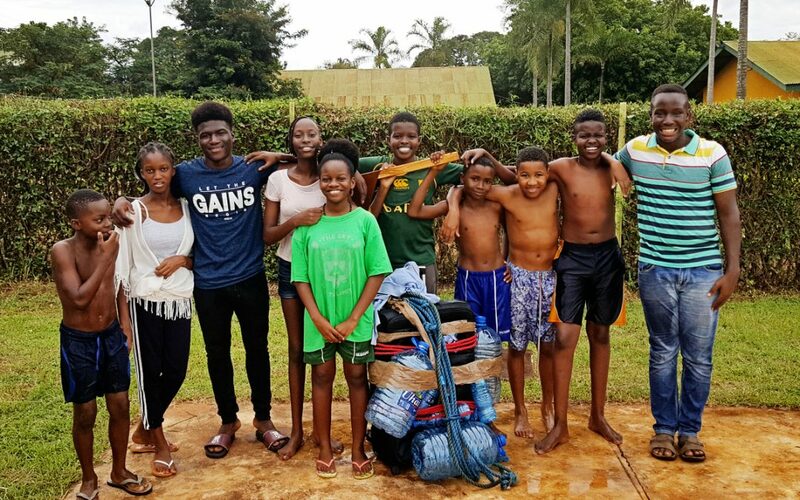 Each team, made up of around ten day and boarding students of varying ages, shapes and sizes, had 40 minutes to plan, de-sign and then construct their vessel using any materials that they could find. They were even given a further two minutes to test it and make final adjustments but that wasn’t much help! Each team had been given a pile of plastic water bottles, some string and parcel tape as a starting point. And so it was, after much discussion, argument and panic, the four rafts were launched. Perhaps it was the addition of the parcel tape that had made it easier but the final crafts were much more sturdy than in previous years. 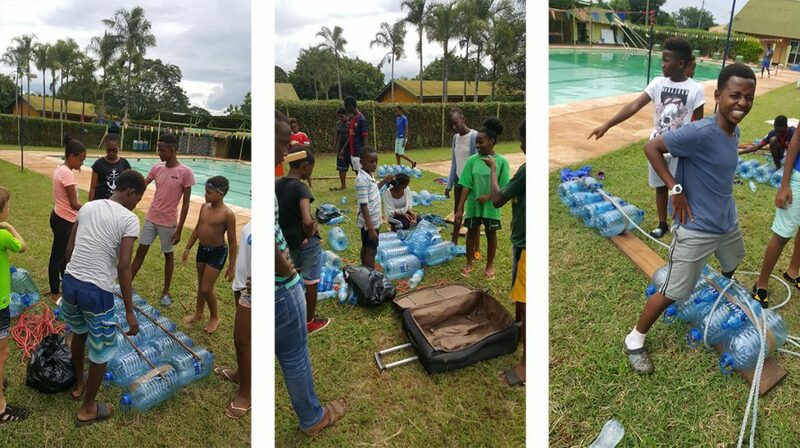 That is, apart from the team in lane two in which Lissa more or less swam home with just 3 bottles remaining of her team’s raft. Mr Gibbins, in consultation with judges Mr Street and Mr Green, decided that who actually came in first after four lengths was irrelevant given the amount of cheating that had taken place and it was Tino’s team, who actually finished second, that were awarded the prize of sweets and 20,000/= mainly for the ingenuity of including a suitcase in their design and also for cheating the least! Once again a massive thank you to Mr Gibbins for organising another fantastic weekend event.